The Sarnia Guest House is situated in a fairly central location to the local amenities , mostly a short walk to most places . 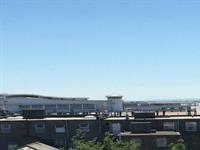 We are just off the Weston Super Mare seafront which is a lot quieter being away from the hustle and bustle. Just a 10 minute walk to most of the high street shops and pier, this includes the many popular restaurants and pubs on the front. Only 150 yards to the beach, so just park the car and walk. Marine Lake is a small cove at the approach to Knightstone Island, offering a safe location for families with small children. The good think here is that as the main tide goes out the causeway keeps a small beach with access to the sea. You do not just have to stay on the cove beach but tide permitting you can walk along the causeway, where on the other side of the you will find a more rocky beach with tidal rockpools ideal for exploring. Located 0.1 miles away from the property. 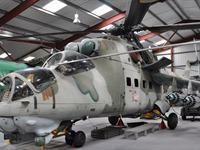 The Helicopter Museum in Weston-super-Mare, North Somerset, England, is a museum featuring a collection of more than 80 helicopters and autogyros from around the world, both civilian and military. Brean Leisure Park is an amusement park in the coastal resort of Brean, near Burnham-on-Sea, Somerset, England. 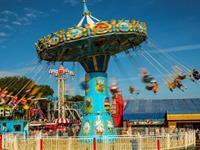 Family amusement park with over 30 rides and attractions, cabaret, pool complex and events. Caters to groups, private parties, and corporate events.